Last weekend I saw Wonder Woman, DC’s newest installment in the Justice League saga during what is arguably the Golden Age of superhero movies. Now honestly, I’m a Marvel person, but until Black Widow gets her own stand-alone film(s) I will give this round to their rival comic book studio. The film itself is already a wild success, raking in $223 million globally in its opening weekend and a 92% rating on Rotten Tomatoes. 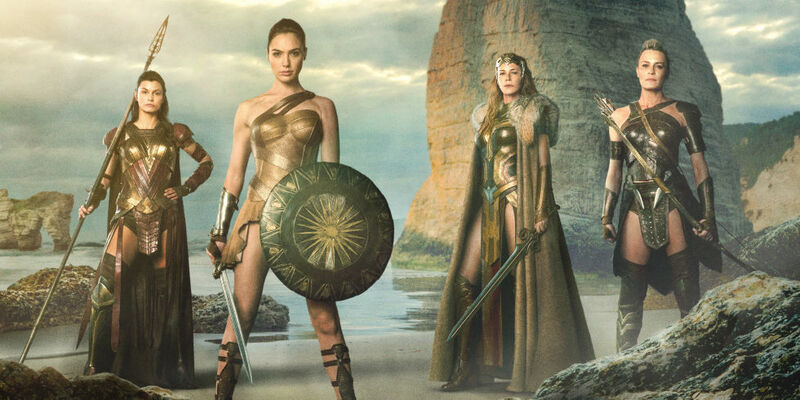 However, despite this success there has been much criticism over the casting of Gal Gadot for the lead role of Diana, Princess of the Amazons. The film has been banned in Lebanon and Tunisia, and a petition has been circulating in Algeria to stop the premier over controversy regarding Gadot’s support of the Israeli Defense Forces (IDF) and her time as a combat trainer. Critics also denounce the fact that another feminist film stars yet another white woman, continuing the erasure of people of color in the mainstream. These controversies have sparked numerous internet debates, and many of my own personal female friends, whose values and views I deeply respect, have vowed not to support the film. As a feminist, I have been wrestling with this issue for a long time. On one hand, you have a woman who is being given a platform and a position of power despite her problematic views, just as countless male stars have had continued success despite allegations of sexual abuse and racist comments. You also have the perpetuation of White Feminism, or feminism that does not take into consideration the specific ways in which race interacts with gender, shaping the experiences of women of color much differently than for white women. On the other hand, Wonder Woman is the first female-led superhero movie since Elektra (2005), and millions of women are finding themselves misty-eyed (as are their male comrades – myself included) as they watch a powerful warrior princess single-handedly take on an army of German soldiers. This film is still a feminist film, but its feminism is problematic at best. That’s powerful. And visceral reactions like that are too hard to ignore, even if the lead actress has some indefensible beliefs. I understand and agree with those who say that, but there is a more complex picture here. The fact is both truths co-exist. And I believe we can be responsible feminists while acknowledging both of those truths. There is room for ambiguity in this life, and acknowledging that fact while working to change what we can will make us all better feminists and better people.